The business world can often feel like a game of musical chairs. This infographic from furniture website SeatsandStools explains the optimum seating position for a range of business situations: from job interviews to formal lunches. There’s been a lot of interest in the harmful effects of prolonged sitting at work, from academics and the public alike. The attention being paid to sitting — or rather, not sitting — while on the job stems from the scientifically validated message that being sedentary in general, both indoors and outdoors, is bad for your health. However, comparatively little attention has been devoted to the harmful effects of prolonged standing at work, despite past studies linking it to chronic back pain and musculoskeletal disorders (MSDs) in the lower limbs. What’s more, research has shown that prolonged standing might increase the risk of cardiovascular disease. Ask LH: How Can I Improve My Posture At Work? 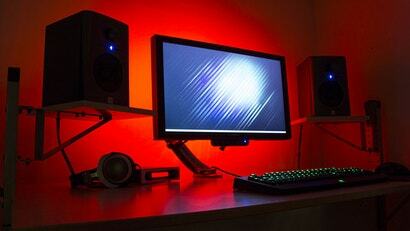 Dear Lifehacker, I work in a typical 9-to-five office job. I can tell my posture isn't ideal and I catch myself slouching all the time. But when I try to consciously sit up straight, it quickly becomes uncomfortable and I slip right back to where I started within the hour. 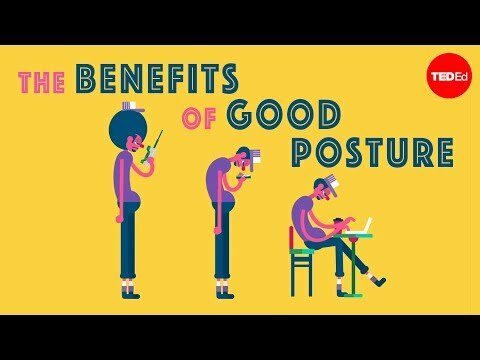 Do you have any beginner-friendly tips for easing myself into better posture habits? Ask LH: Is It Healthier To Sit, Stand Or 'Walk' At My Desk? Dear Lifehacker, I can't decide between sitting in a regular desk chair, moving to a standing desk, or using one of those fancy treadmill or bicycle desks. What, really, is the best option for my productivity and health? I've been using a standing desk for a few months now and I love it. 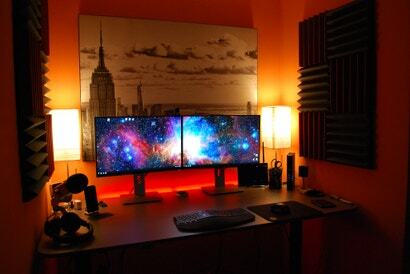 It makes me feel more productive, keeps me active and cost me next to nothing to set up. Still, I had some growing pains. If you're thinking about setting up a standing desk, here's what I learned so you don't have to. Maybe you like to sit while you work, or you prefer to stand, or maybe you like the flexibility to do either, the way Jayson S does with this sit/stand workspace. It's situated in a cubby with enough room to do both, as well as record some podcasts and space to spread out and get work done. Take a peek into almost any office. What do you see? Workers hunched over their computers. Look at your fellow commuters on the subway. How do they sit? Slumped over their smartphones. Survey the friends and loved ones around you. How do they stand and walk? Likely a little stooped over. 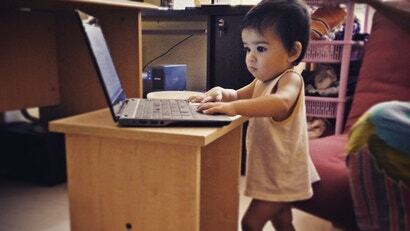 We're big fans of standing desks at Lifehacker. But not everyone agrees about their supposed health benefits. This infographic looks at various ways to improve posture and alleviate back pain while sitting in the office. Sitting, it’s becoming fashionable to note, is the “new smoking”. 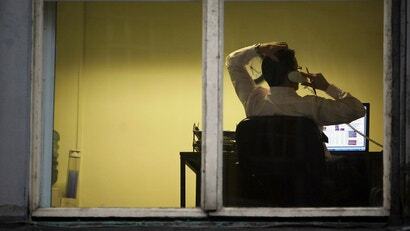 Sedentary behaviour dominates modern life, just as smoking did some decades ago. And the health risks posed by prolonged sitting are making it frowned upon, just as smoking is. Standing desks have become an essential fixture in any home office, but they are also on the pricey side. 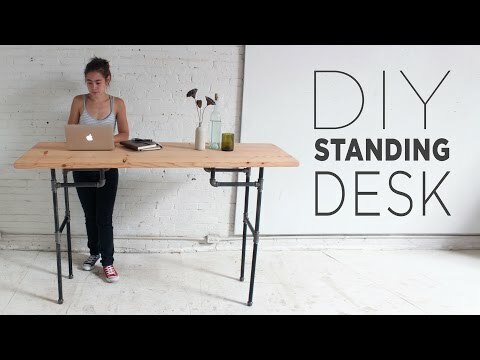 If you're on a tight budget, you can build a height-adjustable standing desk with basic materials from your local hardware store. Here's how it's done. Getting a great standing desk is only part of the battle. You do have to keep moving, of course, and standing while you work can be tough on your feet. That's why most standing desk enthusiasts suggest an anti-fatigue mat for use with your desk. This week we're looking at five of the best, based on your suggestions. We've covered a lot of great ways to help you adjust your posture; from fixing your chicken neck, to undoing your computer hunch. This video explains why developing your posture is so important for the rest of your body. How's That Standing Desk Working Out For You? Some of us have switched to standing or walking desks to avoid the possible damaging effects of sitting all day. But these desks may not be a cure-all, for a few reasons. We're big fans of standing desks here at Lifehacker; both for their proven health benefits and boosts to productivity. Unfortunately, they can also be prohibitively expensive. If you're on a tight budget, here are a handful of IKEA desk hacks that will achieve the same result for a fraction of the price. In a letter to Felice Bauer in 1912, philosopher Franz Kafka lamented, "time is short, my strength is limited, the office is a horror, the apartment is noisy, and if a pleasant, straightforward life is not possible then one must try to wriggle through by subtle manoeuvres." Modern workers may well empathise with Kafka's description of his workplace. Is Standing Up Every Hour Really Better For Us? As part of the advance publicity for the forthcoming Apple Watch, Apple chief executive Tim Cook has disclosed that it has a feature that prompts people to stand up every hour. "Sitting is the new cancer," he boldly declared. It's a provocative statement, but is it true? It seems the world is finally coming to terms with the fact that humans evolved to stand, not to sit -- well, health researchers, savvy office workers and many commuters, at least. A new report published in the Medical Journal of Australia is urging businesses to adopt a "standing desk" policy to improve office workers' posture and overall health. According to the paper, not only are non-standing desks bad for you, they could constitute an unsafe working environment if no standing options are provided. Here are a few standing desk hacks to help get your boss on board.